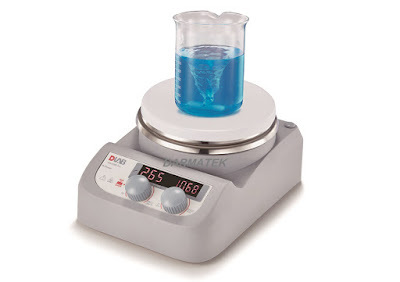 Jual murah Magnetic Hotplate Stirrer DLAB Model : MS-H280-Pro, contact : +6281283804273, wa : +6281932632003 dengan Darmatek di Jakarta Selatan. Digital control system is ideal for applications for physical - chemical analysis and biotech labs. - External temperature sensor PT1000 is available and control accuracy of 1C, real-time control medium temperature. - LED display temperature and speed. - 50 HOT warning indicates residual hotplate temperature.